Are you a music lover? Do you have any favorite songs? Do you want to remix your loved music for a dance? Well, it’s very easy to realize it. 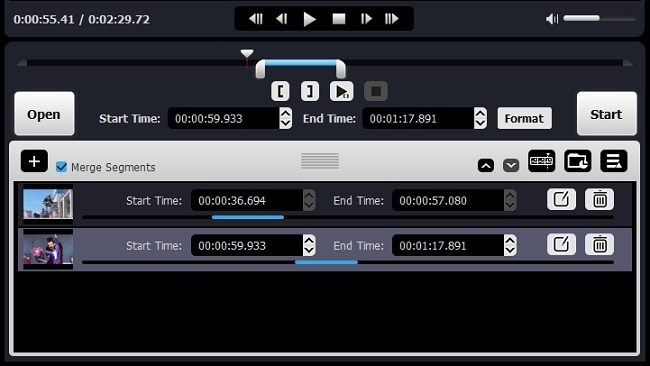 All you need is a useful tool to cut and merge songs as you like. The Internet now is flood with many different song cutters and joiners online, and some of them are even free. You can easily use them to trim your audio files. However, these online tools also have its disadvantages. For instance, you are easily to leak your personal information on the Internet. Besides, some online splitters are instable; you may get across various problems during the cutting process. What’s more, you probably get low quality output audios by using the song cutter and joiner online. 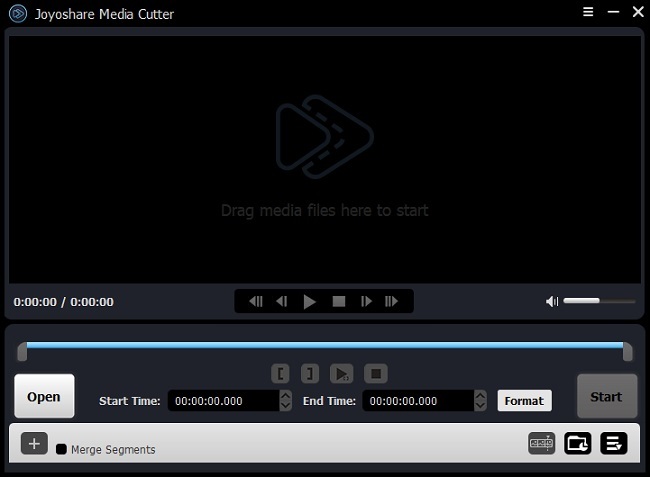 Under the occasion, you can adopt video cutting software to cut and merge songs, such as, Joyoshare Media Cutter - an easy-to-use yet powerful audio/video trimmer. 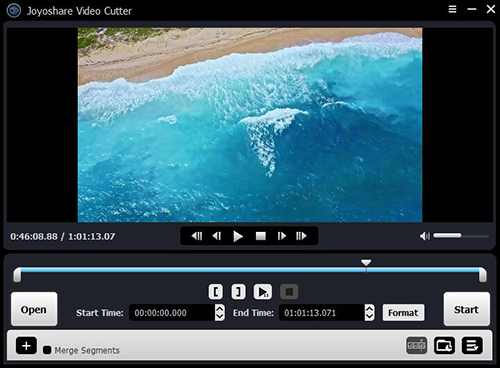 Joyoshare Media Cutter for Windows (or Joyoshare Media Cutter for Mac)is a smart and useful video/audio cutting tool to help you cut and merge different media files quickly and losslessly. With it, cutting song becomes an easy thing. Support multiple output audio file formats and devices, such as MP3, M4A, AAC, AC3, OGG, CAF, AIFF, APE, FLAC, WAV, WMA, M4B, M4R, MKA, AU and ALAC etc. Before running the software, make sure you have downloaded and installed Joyoshare Media Cutter. Now import your target audio file, you have two options. One is simply to drag and drop it to the center of the main screen, the other is to click the “Open” button and choose the song to cut. Similarly, there are also two methods to choose the audio tracks you like. One is just to drag the yellow slider, set the starting time and end time separately. The other is accurately set the temporal interval in the following timetable. Both methods enable you to have a preview during the selection. Click the “Format” icon, and you have two modes to select - High speed mode and encoding mode. Once you choose the first mode, Joyoshare Media Cutter will work at a faster speed and export a high quality file. With the second mode, you can customize you own file format on various portable devices. Now tab the “Start” button after all the settings are done. Wait for a while until the cutting process is finished. You can find the new song on the destination folder by clicking the icon. Click the button to show the segment list, and you can also tab the “+” button to increase the amount of footages. Now tick the “Merge Segmants” box and click the “Start” button to merge segments you desired. 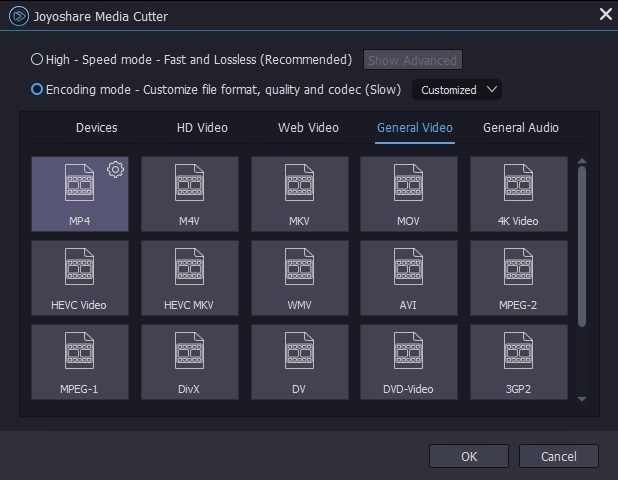 You can also watch the following video tutorial to know how to cut and merge MP3 and other audio files fast without causing any quality loss by using the best audio cutter and merger- Joyoshare Media Cutter. Of course, you can cut and merge songs online; but it is still unsafe and unstable. Therefore, we suggest you to choose a powerful song cutting tool such as Joyoshare Media Cutter. This software is easy to use with clean interface, supports various audio formats and devices, process music tracks with no quality damage. More importantly, the price is reasonable. And you can also get a free trial before purchasing it. Now just get it to have a try.